As promised, this is the follow up to the last blog. This information helps you on those days when your workout may not quite fit into your schedule. This also aids people who are now easing into doing more exercises to become physically fit. How about a few more simple exercises that will help improve your body? How many times have you had to carry heavy loads and wished that it could be much easier to do? Often people believe that this is all arm strength, but it is actually a combination of your abs and quads. Abdominal Crunches: You will see many ways to do an abdominal crunch. The goal is to have the proper technique so that you get the most benefit. Lie on your back with your knees slightly bent. Make sure your feet are hip distance apart and planted firmly on the ground. Keep your knees comfortably apart. Fold your arms on your chest and tighten your abdominal muscles. Do not clasp your hands behind your head. Raise your head and shoulders completely off of the floor. Hold for a count of three and return to the starting position. Repeat! You should feel some tension in the muscles in your abdomen. Review the Quad Stretches in the first blog in this series. Walk! Start a daily brisk walk. This will benefit you in many ways and it is easy to do. 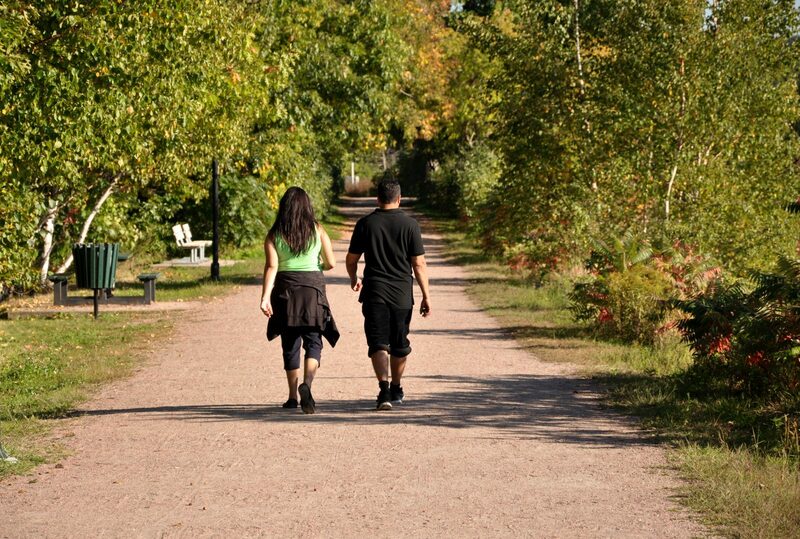 Taking a brisk walk is low impact which is easier on you and beneficial. Simple and useful exercises will give you more energy and be helpful to your daily demands! Then get your regular workout in when you can.